Monogram basic black classic jute tote bag. 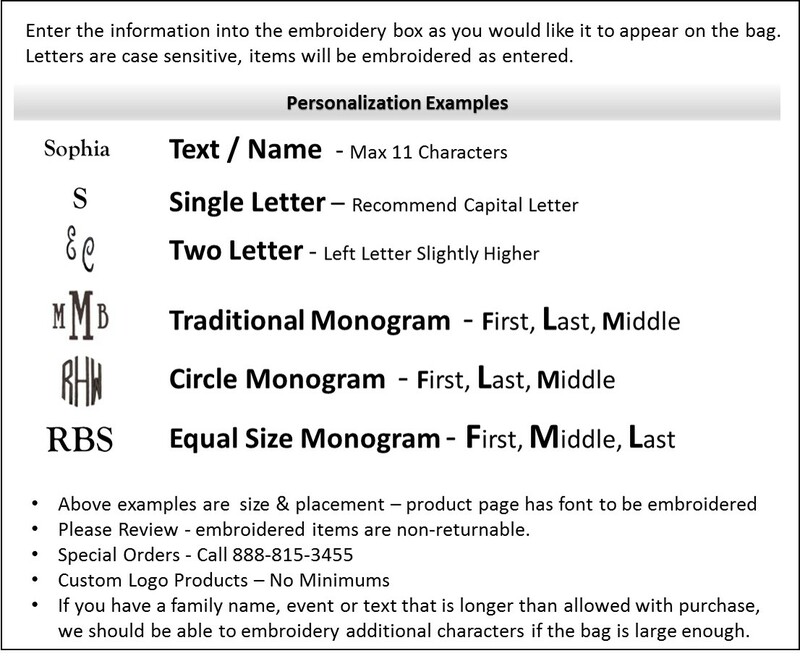 Eco-friendly with your choice of monogram or name. Cute tote for bridal or evening event. Black with natural fabric covered rope handles. Open tote, unlined with small zip wall pocket and front open pocket. 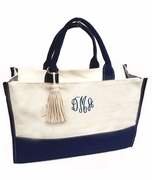 Classic jute tote bag measures 19"W x 14"H x 7" across bottom.